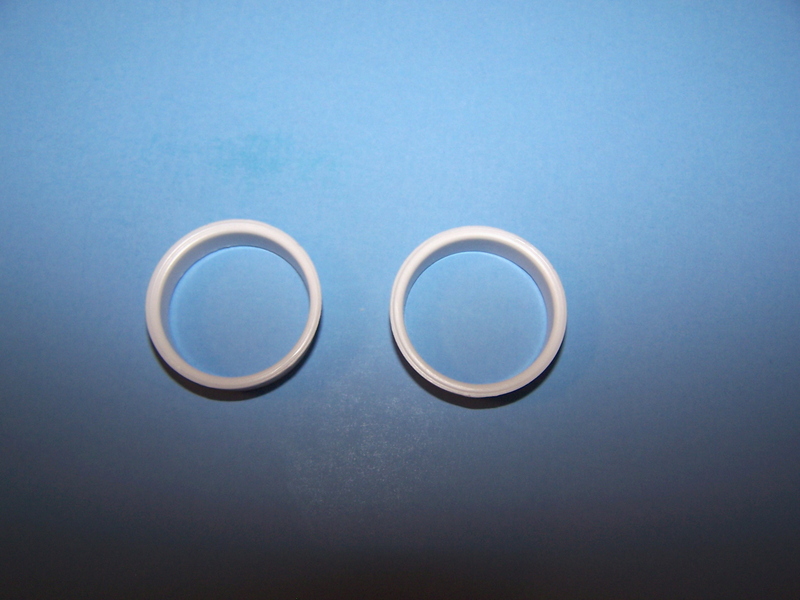 Includes 2 wheels, must order backing rings if not using Plaskit tires. 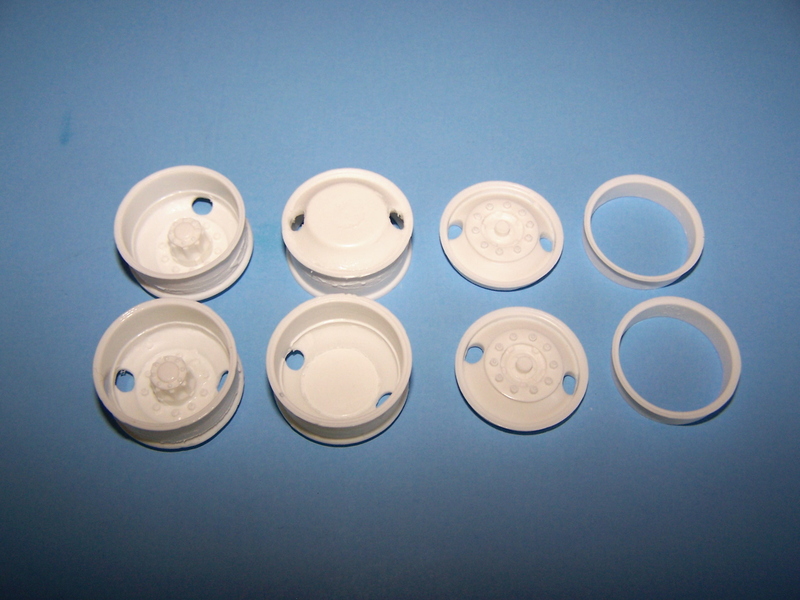 For use with most Plaskit tires and AMT/Ertl 22" tires. Includes 2 front wheels must purchase backing rings if not using Plaskit tires. 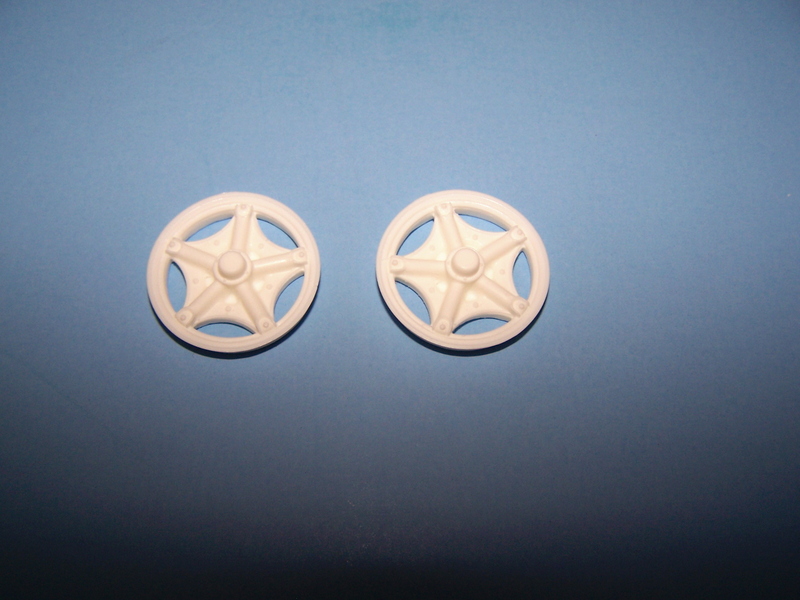 For use with Plaskit flotation tires or AMT/Ertl 22" flotation tires. 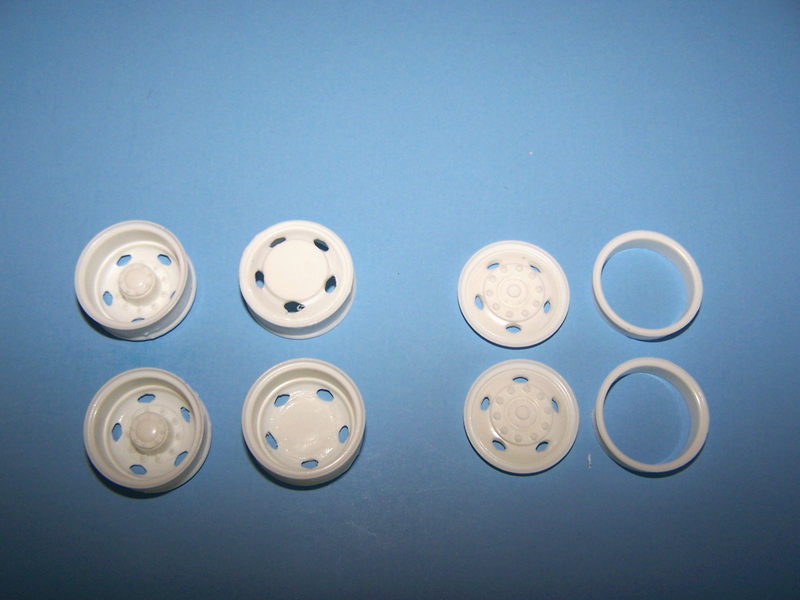 Resin cast 2 hole front wheels. For us with AMT/Ertl 22" tires and most Plaskit tires. Includes 8 rear wheels, 2 front wheels and 2 backing rings. 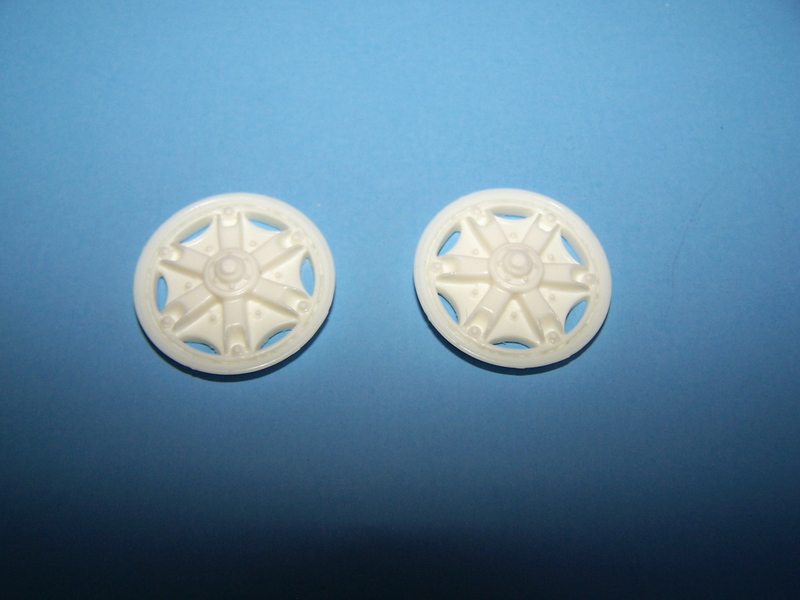 Resin cast 2 hole bud wheel set for 2 axle truck. Includes 4 rear wheels, 2 front wheels and 2 backing rings. 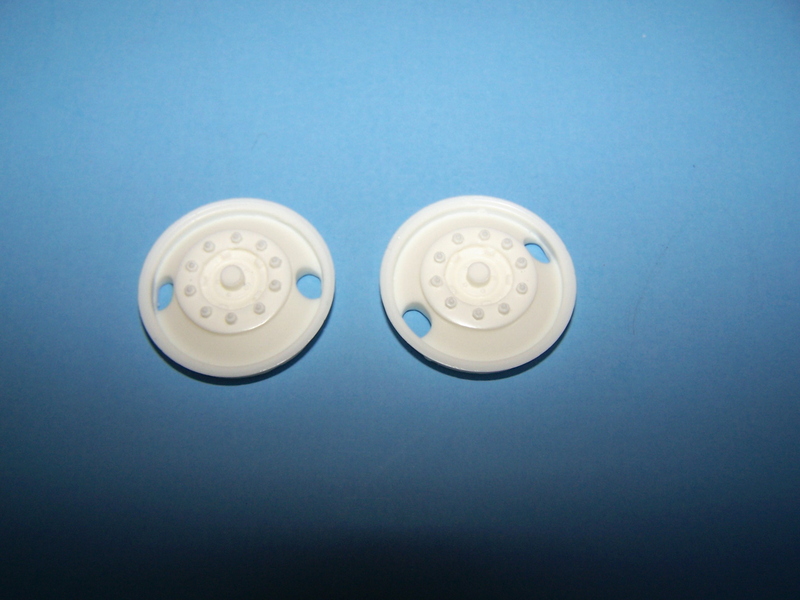 For use with AMT/Ertl 22" tirea and most Plaskit tires. 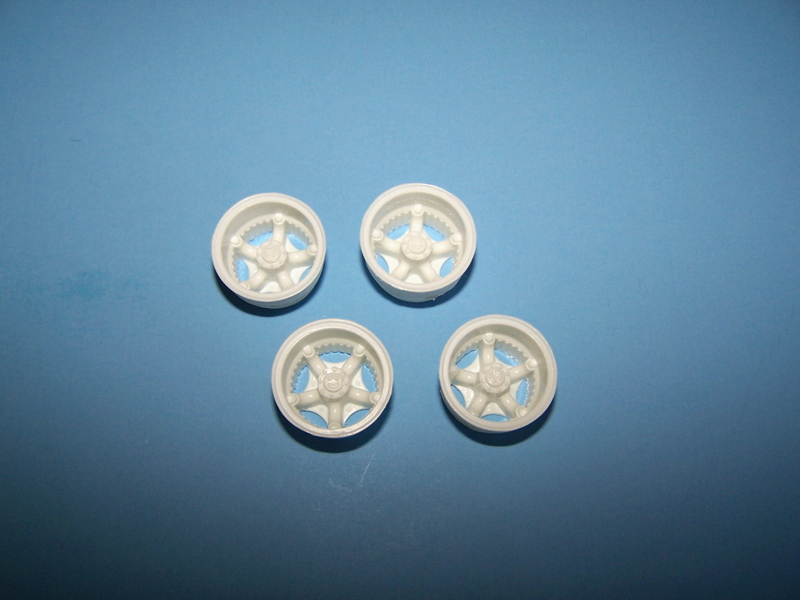 Resin cast 6 spoke front wheels. 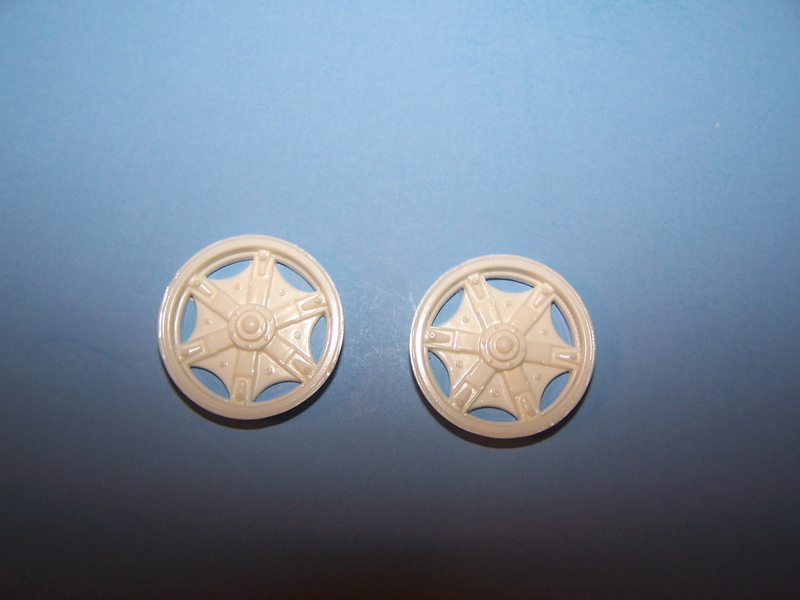 For use with AMT/Ertl 22" tires or most Plaskit tires. 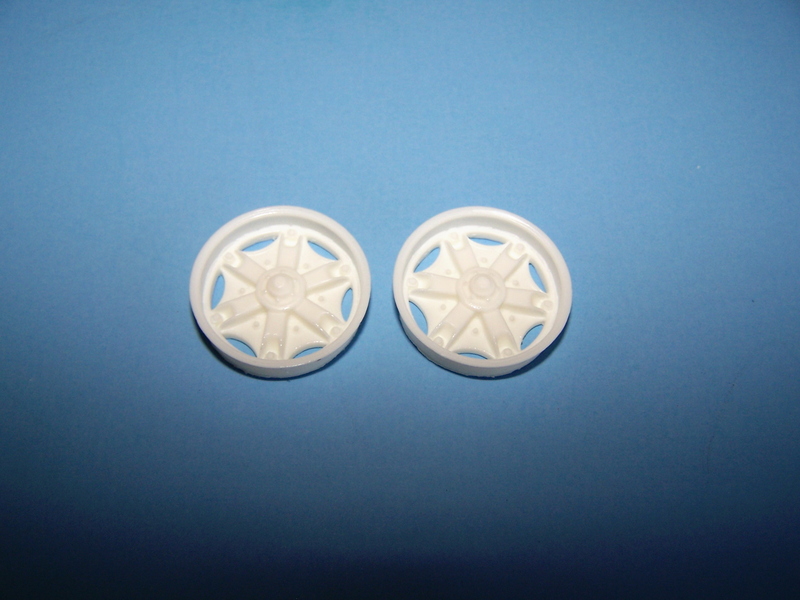 Resin cast 6 spoke front wheels for flotation tires. Includes 2 Wheels, Must purchase backing rings if not using Plaskit tires. 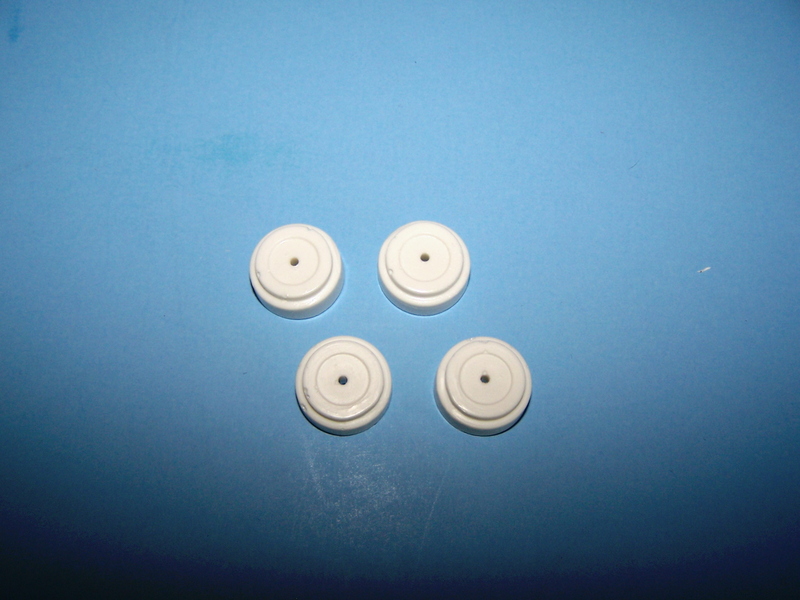 For use with AMT/Ertl 22" flotation tires or Plaskit flotation tires. Includes 2 wheels and 2 backing rings. 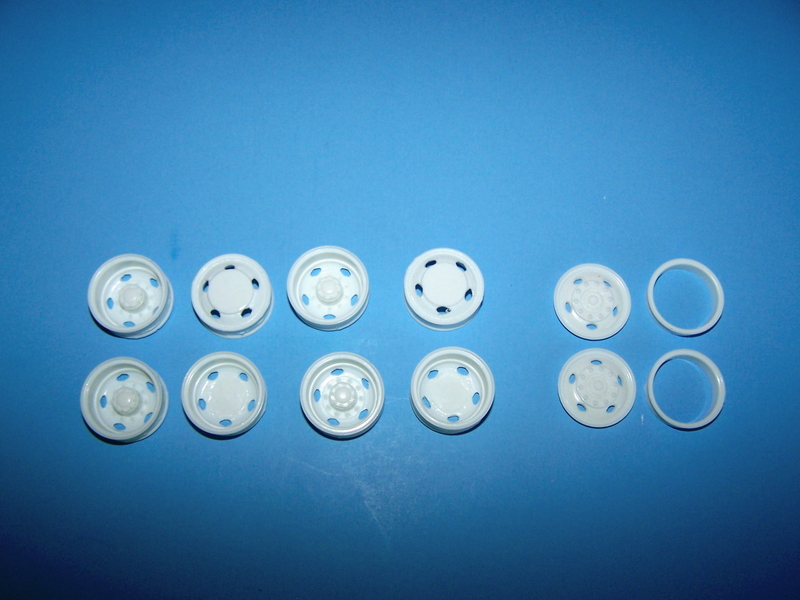 Resin cast 5 hole wheels for 3 axle truck. 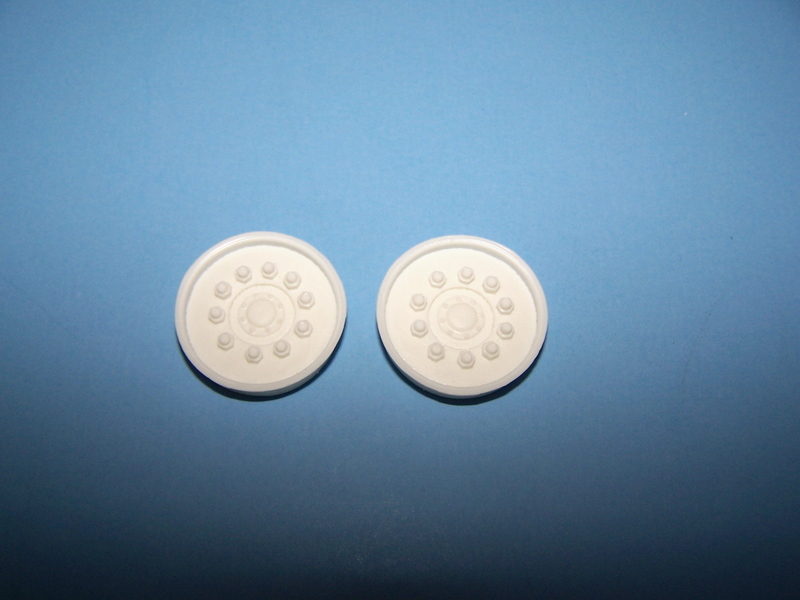 Resin cast 5 hole disc wheels for 2 axle truck. Includes 2 rear wheels, 2 front wheels and 2 backing rings. 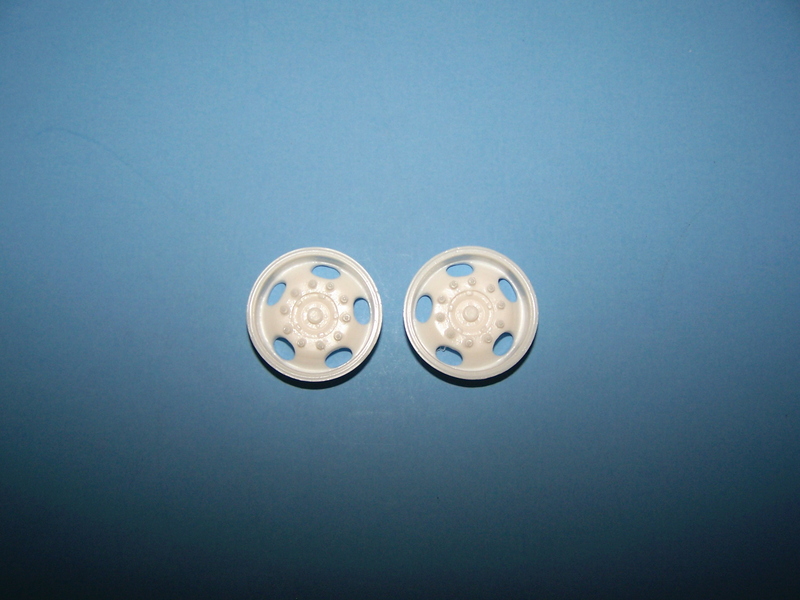 Resin cast 6 spoke rear wheels for tandem axle truck. Includes 4 wheels and 4 backing rings. 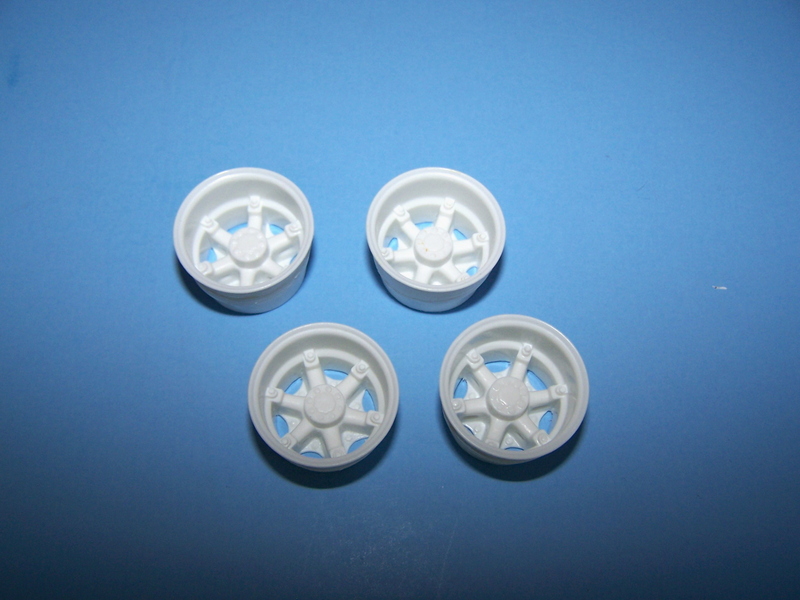 Resin cast 5 spoke wheels for tandem axle truck, similar to wheels in GMC Astro kit. 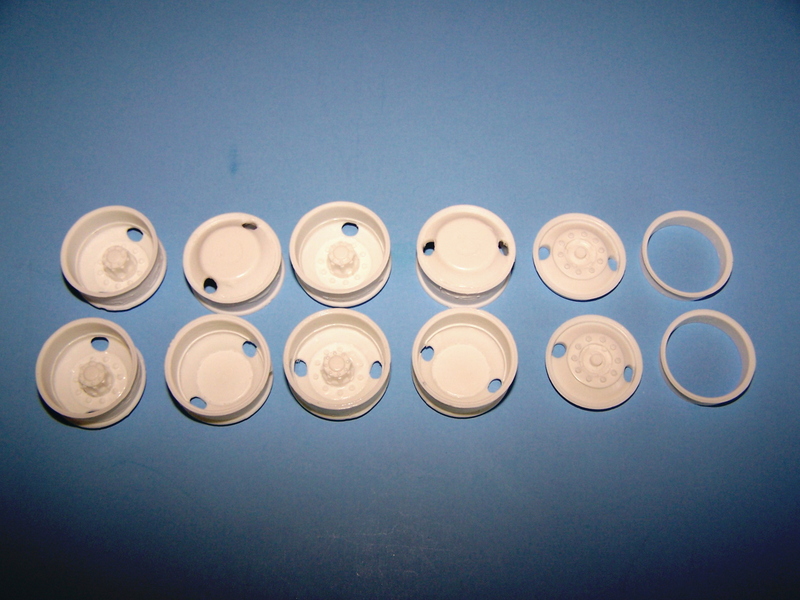 For use with AMT flotation front tires (Autocar dump kit) or similar.